According to the United States Census Bureau – By 2030, all baby boomers will be older than age 65, this will result in the expansion of the size of the older population such that 1 in every five residents will be retirement age. “The aging of baby boomers means that within just a couple decades, older people are projected to outnumber children for the first time in U.S. history,” said Jonathan Vespa, a demographer with the U.S. Census Bureau. “By 2035, there will be 78.0 million people 65 years and older compared to 76.7 million under the age of 18. The rise in the aging population calls for a technology that provides them with convenience, comfort, and care. 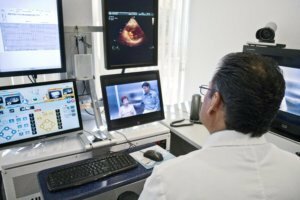 Telemedicine or “virtual care” has been picking up momentum because of the clear benefits it offers – time, convenience, and cost. Health issues like chronic pain, cognitive, mental and sensory impairments can be painful and challenging – not only for the elderly patient but also for the caregiver. If you’re a caregiver for an older adult facing complex health issues, you’ve probably experienced complications when getting your loved one to the doctor’s office. Moreover, if you live in a remote area with limited access to a physician’s office, the complications only increase. Fortunately, recent technologies have made it much easier for patients and caregivers to deal with these situations. Telemedicine is one such technology that has reduced the stress for both, patient and the caregiver. It has made it possible for patients to see a physician without having to leave the comfort of their home. Telemedicine is defined as the process through which a patient can receive health care in a remote location from a healthcare provider through electronic exchange of information. The patient can now see the physician without having to travel hundreds of miles to see the specialist in person. Telemedicine enables a virtual doctor’s visit which is highly beneficial in the case of patients with limited mobility, for those suffering from debilitating health issues or those living in remote areas. It allows patients to connect with their providers “virtually and remotely,” helping physicians to monitor them closely while providing additional medical assistance and patient education as and when required. Telemedicine provides patients with ease and convenience, while also enabling physicians to understand the patients’ condition better. When a physician sees a patient in their home setting, he can comprehend the challenges faced by the patient. Based on the observation, the physician can offer appropriate treatment options and care coordination. Most patients may experience a slight learning curve during their first virtual doctor’s visit, but like most technological hurdles, it will become effortless and smooth. The patient needs to have a smartphone, a tablet, or a computer. With the help of applications like FaceTime and Skype, a ‘face-to-face’ visit can be easily set up. Similarly, the doctor can hear and see the patient, allowing him to make observations based on the same auditory and visual cues he would have in a regular office visit, without the stress. Initial studies have shown that patients experience a higher level of satisfaction with telemedicine and virtual doctor visits, mostly because of the ease and convenience they provide for the caregiver, patient, and physician. A patient feels more focused and relaxed during the appointment when he is communicating with the physician in the comfort of his home, avoiding any distraction he may face in a doctor’s office or the stress caused by commute and traffic. Of course, at the doctor’s discretion, a follow-up office visit can be arranged if needed. However, in most cases, the office visit is not required, and the patient can continue being monitored remotely in a familiar, comfortable environment. Reducing the stress of unfamiliar surroundings is essential, especially for those suffering from diseases like Alzheimer and dementia. Telemedicine helps in relieving the burden not only for the patients but also alleviates the stress for the staff of senior living communities, family caregivers and home health aides. An article in the Huffington Post showed the results of a telemedicine study conducted by the University of Rochester. The study was based on patients who have Parkinson’s, and it clearly showed how telemedicine was beneficial in providing appropriate care and treatment. According to the study – It’s estimated that around 40% of those who have Parkinson’s, are unable see a neurologist soon enough after their diagnosis, this puts them at a higher risk of falls, which often results in hip fractures and other complications. This is especially common in remote or rural areas that are underserved by healthcare providers. The most significant barriers to the right care are distance and mobility. The challenge of connecting patients and medical professionals together becomes substantial, especially as the condition progresses. According to the study, a few hundred Parkinson’s patients received care from neurologists via a telemedicine platform. 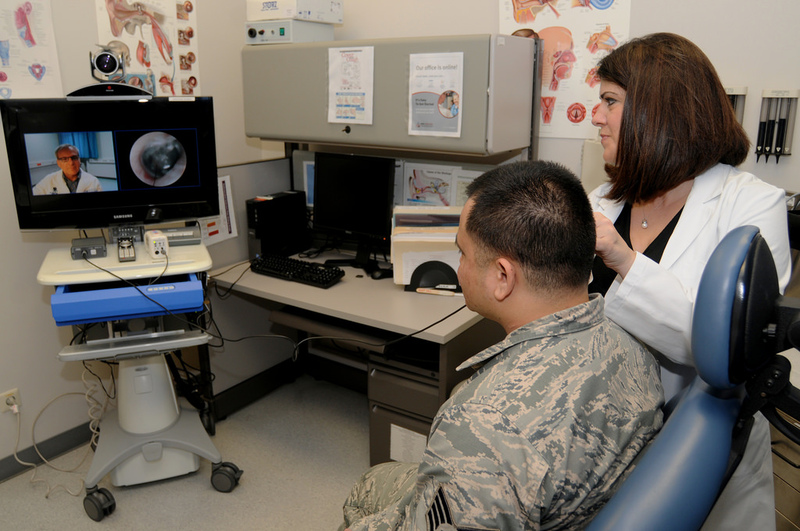 When the patients had finished evaluation, it emerged that the telemedicine consultations were just as effective as the physical, in-person consultations. The remote, virtual meetings also saved considerable amounts of time. 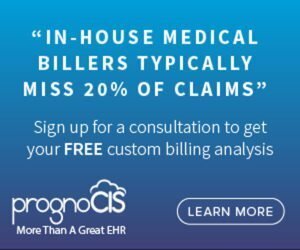 The average patient reported savings 169 minutes and nearly 100 miles of travel per visit by doing it remotely. The results revealed that patients favored the high quality of care provided through telemedicine and virtual doctor visits. A study by the Northwestern University revealed that telemedicine could help improve and maintain the ability of dementia patients to communicate and remember by providing them access to specialists. The researchers connected patients suffering from primary progressive aphasia, dementia, or Alzheimer’s to professionally trained speech-language pathologists using a telehealth platform (Communication Bridge). Through a secure video link, the patients practiced memory and language skills. They were even given online homework between sessions to help boost and strengthen those skills. When the pilot program ended after eight months, the results showed significant improvement in the patients in recalling ‘lost’ concepts and words. One patient was able to remember the names of the flowers in her garden; one was able to order his favorite food from a local restaurant, while another patient could recall the names of her grandchildren. 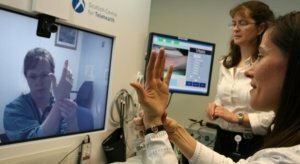 Emily J. Rogalski, the study’s lead author, and an associate professor at Northwestern University stated that telemedicine is not a cure, but it can help slow down the progression of the disease and can maximize the patient’s remaining abilities, helping them cope with the condition better. Similarly, another study was conducted to evaluate cognitive changes in patients over time, based on care modality. The research centered around 188 patients who have dementia, 98 of whom used telemedicine services, while the remaining 90 visited a clinic in person. The result showed no significant difference in the annualized mean Mini-Mental State Examination between the face-to-face dementia clinic group and the telemedicine group (p=0.291), with changes of 1.03 and 0.60 points, respectively. However, the study showed the cognitive decline to be significantly lower in patients using telemedicine services for the less severe initial cognitive performance subgroup as compared to the more severe cognitive performance subgroup, with a change of 0.62 and 1.59 points, accordingly. The mean annualized MMSE scores further indicated that higher initial CDR (Clinical Dementia Rating) scores, age, and MMSE scores were independent predictive factors of the subsequent cognitive changes.